Cocaine is a potent psycho-stimulant; the consumption of this drug has been increasing since the 1960s, and therefore cocaine presents an important problem of public health. From the beginning, it was considered that cocaine abuse didn’t produce evident physical symptoms in comparison to heroin and alcohol, and that cocaine was not addictive. Therefore, there was not any specific treatment for cocaine addiction. 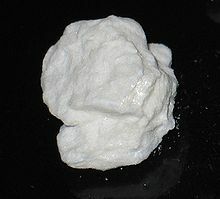 However, the truth is that there is evidence of neurological effects produced by cocaine. Cocaine stops the communication system in the brain. Cocaine also has effects on the gratification system of the brain, increasing the levels of dopamine, a neurotransmitter involved in pleasure feelings. As a consequence, for the normal function of a cocaine addict’s brain a constant activation of the gratification system is necessary, and for this cocaine is needed regularly. Therefore, the addict cannot control this craving because of the brain damage. Erroneously, for a long time it was thought that if an addict didn’t stop their cocaine addiction, the reason was a lack of determination. Because of the ignorance of this, no treatments had been available for a long time and the success in treating cocaine addiction had been limited. The pharmacology used in cocaine abuse was orientated to treat the withdrawal symptoms, the anxiety, depression, etc. Fortunately, nowadays, there is a new trend to develop new therapies orientated to recover the cognitive functions and affected zones of the brain. These therapies try to produce effects in the core of this disease and not just in the symptoms. As well as other addictions, cocaine abuse involves complicated social and familiar problems, and the addiction treatment must be integral, that is, the problem must be faced from the pharmacological, behavioral, and psychological points of view. As a consequence of the erroneous consideration that cocaine addiction was not a disease, nowadays there is not any drug approved for cocaine treatment. But other drugs useful for other addictions such as baclofene, disulfiram, topiramate, etc. are being testing. Some of them had shown a diminution in cocaine consumption in some studies, with disulfiram (used in alcohol addiction) being the drug with the most promising results. On the other hand, the increasing knowledge of the metabolism and the changes produced in the brain after cocaine ingestion is leading the research in this topic toward the restoration of the balance between excitant (glutamate) and inhibitory (gamma-aminobutyric acid, GABA) neurotransmission. Other interesting targets for cocaine-treatment drugs are the D3 dopamine receptors. Finally, some researchers are trying to get a vaccine to avoid the incorporation of cocaine into the brain in order to reduce the risk of relapses. Hopefully, the economic interest of the pharmaceutical companies will not be taken in account and valuable reports of both the positive and negative results will be published to find an efficient treatment for this problem as soon as possible. Written by Dr. Daniel Jimenez and edited by Dr. Alcantara for The All Results Journals.